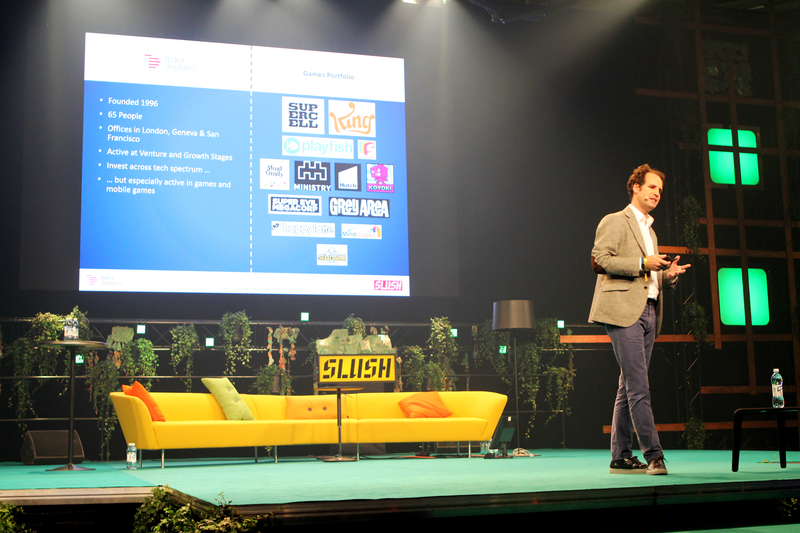 Hunting Godzilla – reflections from Slush 2015 on mobile gaming. Last week, for the 4th year running, Index Ventures sent a big contingent to the Slush in Helsinki, one of our favourite events on the calendar. Almost uniquely among tech conferences it is organised and run by an amazing team of mostly student volunteers. It also gets enormous support from local and national government and broader tech community. The sale and continued success of Supercell remains a driving light in the Helsinki tech ecosystem and one of the highlights of the programme was Neil Rimer’s panel with Ilkka Paananen, the Supercell CEO and founder. They discussed principles of leadership in tech companies and the importance of vision and ambition not just for a company but also for an ecosystem as a whole. We left feeling extremely optimistic about the future of tech startups in the Nordics and confident that Helsinki and the Slush movement will play a big role in the future. 1. Despite the audience size, revenues and profits and longevity being demonstrated by the leading games companies, the valuations are actually very modest in comparison to other sectors in technology. We feel confident over time this will correct and games companies will achieve the valuations they deserve. 2. Godzilla – with the continued uptake of mobile applications, we predict that within the next five years there will be a company within the games sector that will become so mainstream and commercially successful that it will break through the glass ceiling and earn the valuations which other leading companies in the tech sector have. 3. Europe and the Nordics are exceptionally well placed to build this kind of company. Team quality is paramount in games development and we see the relevant talent, passion, creativity and ambition in many of the startups in the region. As you can read more in the slides below, I covered some of the questions, approaches and models we use to evaluate games companies. If you are building a Godzilla company in games or another sector, we would be delighted to hear from you.